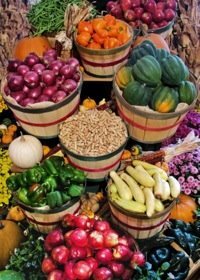 This recipe comes from a lady from Sunburst, Montana who has gone from this earth. I found it in a cookbook called Recipes From the Aschim Family Ancestry. My husband and a number of his friends, who had the privilege to grow up in her community and experience her baking, all swear this is the best lemon pie they have ever eaten. Since my husband is in his mid-seventies and remembers this from early childhood, when they had community gatherings, I have no idea how old the recipe really is, but if you like Lemon Pie, he and his friends swear this is the best ever. Stir sugar and cornstarch together; add water and cook in a double boiler. Add beaten egg yolk and cook until clear. Pour into baked crust. Put in a saucepan and cook until clear. Set in cold water to cool. Add 6 Tblsp sugar and beat well. Add cooled cornstarch mixture. 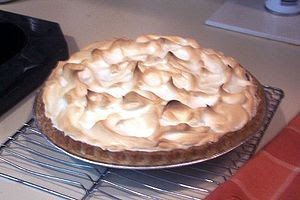 Continue beating until meringue stands in stiff peaks. Spread over custard. Bake at 350 degrees for 17 minutes or until light brown.